The brunch here is so good, with so many sangria types (unlimited!) to choose from. Recommendation: reserve brunch weeks in advance on OpenTable. They get full fast - no reservation means no brunch. Unlimited Sangria @ brunch. Server is aloud to cut you off so it usually caps at 3-4. Don't be fooled tho, these puppies are 20oz of deliciousness and they have a wide variety of whites and reds! Best bottomless brunch deal in town -- make a reservation ages in advance if you want a spot! 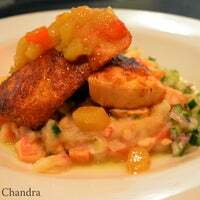 Delicious food at a great value with amazing service - the trifecta!! A gem. 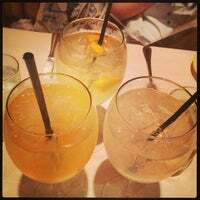 One of the only places in NY where you get bottomless sangria complimentary with your meal. 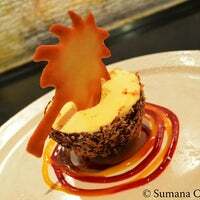 Try the tropical and samba. Also do order the skirt steak with egg. It is delicious! Come here for your next boozy brunch. The vaca frita will not disappoint and the portion is huge! 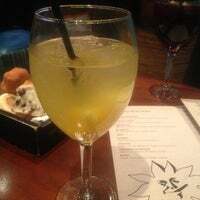 Wash it down with 3-4 glasses of the blanca sangria. Trust me, you'll leave boozy! 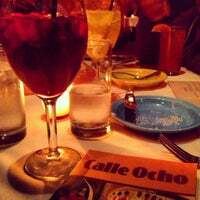 Great fresh Mexican food and bottomless sangria! It is strong. They will make you finish one glass before you have the next. The price cannot be beat. Sangria is included in the meal! Book your brunch reservation at least a month in advance. Sangria keeps coming in as long as you're not sloppy and have food on your plate. Visit the nearby dog park after to satisfy your buzz. The best brunch in the city!! Really tasty Cuban eats for cheap and free sangria during your meal - and not just red and white! I recommend the Cuban Sandwich and the Fresas sangria. Cheers! Come for weekend brunch. Delicious food and all you can drink sangria (8 different flavors!) for about $25 each. 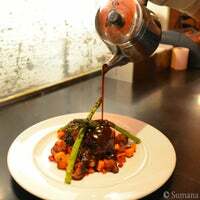 Make a reservation in advance, this place is very popular! One of the best meals I have had in a long time. Everyone is right about the bread - but don't worry it arrives automatically. Try the date appetiser - blew our minds! Had a great experience here. You do have to make a reservation about a month in advance, but the table was ready and the waiter brought out different bread/bakery samples which was nice. The food was great and the price is right for the amount of food you get. Try their Paella...it's amazing and delicious! Came here with a very large group for a birthday party and was not disappointed. 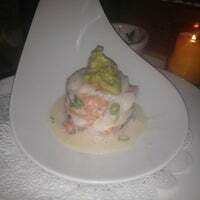 Excellent service, excellent food and overall great time. Will definitely be coming back. 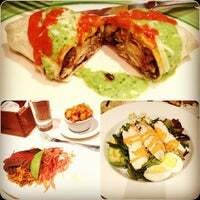 Try the Vaca Frita Al Caballo - Cuban style skirt steak, Latin pork fried rice, fried egg and avocado. So good. Go for brunch and enjoy complimentary sangria during your meal. Try the Currito Sucio or the Frita Cubana. If you stay too long (or drink too much), they will ask you to leave. Very very good brunch. All you can drink sangria bar comes free with your entree. The Latin Benedict was amazing. Make a reservation, they fill up fast! IF you get here right as they open with a small party they will usually seat you without a brunch reservation on weekends. You can also sit in the lounge without a reservation. I miss the larger space, but the intimate atmosphere makes up for it. They bring you your sangria now. No more waiting in line/ silently raging because someone is pouring their sangria wrong. It's not truly Cuban food. Really more pan Latin if that's a thing, but it's still amazing. I'd recommend the Harlem Sangria. All of the entries I've tried are terrific as well. amazing brunch , they have a great selection of sangria , try the tropical !!! Can't get any better than this place ! 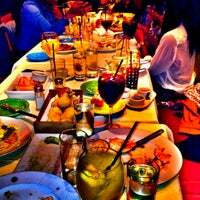 Share appetizers and a pitcher of sangria $42. Ceviche micro and lobster poached then crispy calamari and side of rice and beans. Skip the grilled octopus. Deal: Latin fusion entrées are roughly $15 and includes unlimited sangria. The drink special lasts until you finish your food. Bonus: It’s located right by Central Park. 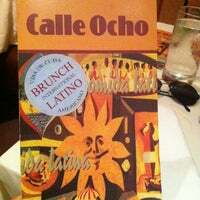 Had an amazing 25th bday celebration at calle ocho. Amazingly good food and great service. Plus who doesn't love 12 types of sangria? Good bread, brunch and sangria! If you don't have a reservation, try sitting at the bar! The Dulce appetizer, and Vaca Frita are hands down two of the best dishes on the menu. Eat them Now!!! While tour waiting chew on some sugar cane, from one of there awesome Mojitos! Favorite Upper West Side Drunch Spot. Cheap & the sangria keeps flowing throughout the duration of your meal. The food and portions aren't the greatest but cocktails make up for it. Bottomless sangria? Yes please! Delicious fruity flavors pack a punch. Brunch food is above and beyond expectations, too. El mejor lugar del mundo para un Brunch!! Sangría (8 variedades) gratis durante la comida!! 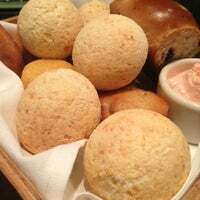 The mini bread basket is amazing! And the food was relatively decent/inexpensive ~$18 for an entree and an unlimited variety sangria! The brunch deal has changed. It’s now $30 for any brunch entree with the free sangria. The gallitos is huge. I counted 18 mini tortillas. Pollo Ranchero was delicious. 2nd time here and both have been great. The sangria does not disappoint. Worth the early reservation. Latin Benedict was delicious. Portions are a little pricey for their size but more than made up for by the very large complimentary sangrias. Brunch: Latin fusion entrées are roughly $15 and include unlimited sangria. The drink special lasts until you finish your food so eat slowly! Atmosphere is ultra swaggy. AYCD sangria is def live!! 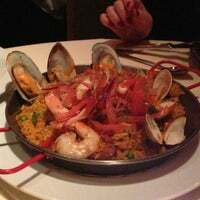 I recommend the Spanish Harlem. Price was pretty cheap to 35 bucks for a party of two. Can't beat that! $5 mojitos every Monday from 5:30pm-10:30pm. House bread is AMAZING! Their black bean spread for it oh god! Love the new location in the lobby of a luxury doorman building off CPW! Great food and sangria! Weekend brunch here is the bomb! 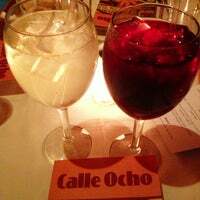 Calle Ocho is the perfect place to celebrate special events with friends. "Great place for date or event. 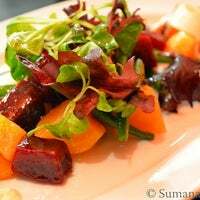 The food is unique, looks beautiful, but some dishes the Latin-Asian fusion worked better than others. 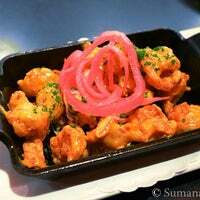 Recommend the tofu, spicy and sweet." 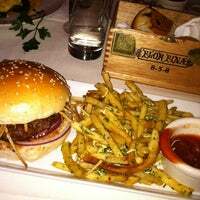 "Awesome happy hour spot steps from Penn Station and MSG! The Margaritas are amazing! Plus Lucy's has a great rooftop setting! Awesome place!" "Half chicken and rice with beans is great. Also try the roast pork!" "Ein unglaublich tolles Museum, dass allerdings auch zum Verlaufen einlädt. Es fehlt ein wenig der rote Faden. Dennoch absolut sehenswert!" "Einfach super zu entspannen und der Großstadt zu entfliehen ;)"
"Classic lively NYC sports bar scene. Great specials, packed for Saturday or Sunday football and plenty of TV screens to watch your game, no matter the sport."